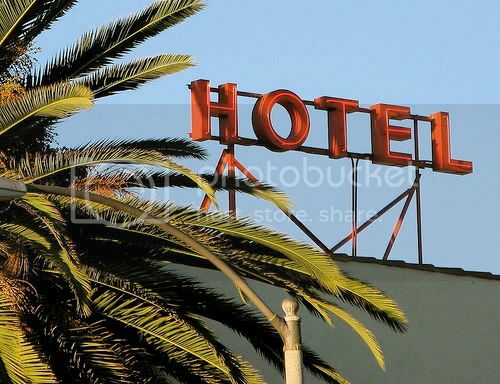 There will be a discussion of the hotels in each area as we delve deeper into the California Tourist Guide, but read on below for some highlighted offerings in California hotels. There really is something for everyone in here! If Disneyland® is your destination, consider one of the park’s three hotels: Disneyland Hotel, Disney’s Grand Californian or Disney’s Paradise Pier Hotel. In addition to their convenient locations and luxurious grounds, each of these properties feature the attention to detail and service for which Disney is world-famous. A mid-range property that’s likely to win rave reviews from the whole family is the Candy Cane Inn, which offers free shuttle service to and from the park as well as a truly exceptional value. (Be sure to check out their Premium Rooms option!) Families who plan to spend most of their time at the park may find the Econo Lodge Maingate suits their needs and pocketbooks quite nicely. There’s also no shortage of California hotels catering to romantic getaways. While Los Angeles and San Francisco provide many perfect settings (Joie de Vivre’s Hotel Angeleno and Hotel Vitale, respectively, are two of our favorites in those cities), some more unique locations to consider include the Simpson House Inn in Santa Barbara, Carmel’s Tickle Pink Inn, the Beach House Inn at Half Moon Bay or the Golden Haven Inn in Napa Valley’s Calistoga, where you and your beloved can share rejuvenating spa treatments – even a couple’s mud bath! When you’re headed to California in search of sun and surf, it’s hard to beat the Hilton San Diego or the Catamaran Resort, both located on the city’s Mission Bay. In Santa Monica, check out the Best Western Oceanview or the Loew’s Beach Hotel, which is popular with celebrities and sports teams. Continuing up the coast, Santa Barbara is home to the luxury oceanfront Bacara Resort & Spa as well as the cozy and restful Hotel Oceana. Keep driving up Highway 1, and you can stop at Pismo Beach, where two Best Western properties — Shore Cliff Lodge and Shelter Cove Lodge — offer breathtaking views and stairways down to the beach. One of the newest oceanfront resorts in the state is Marina Dunes near Monterey, and the Best Western Monterey Beach Resort is also an ideal respite for beach lovers. In Santa Cruz, you’ll want to check out Paradise Inn, and Half Moon Bay hosts the incomparable Ritz Carlton, offering stunning views, two championship golf courses and a 16,000-square foot, state-of-the-art spa center. On the rugged northern coast, consider Bodega Bay’s Inn at the Tides, the historic Mendocino Hotel (a Member of the National Trust Historic Hotels of America) and the extraordinary value of The Tides Inn at Shelter Cove. When your travel is centered on business, it’s hard to beat the consistency offered at the many Marriott and Hyatt California hotels, and business travelers who plan extended stays in Irvine, San Diego or San Jose should also consider Homestead Studio Suites. If superb comfort and prestige are your priorities, the Fairmont or W Hotels in Los Angeles, Silicon Valley and San Francisco are reliable sure bets. Perhaps you’re looking for something one-of-a-kind? The Queen Mary is permanently docked at Long Beach, and you can spend the night in one of the its 365 original staterooms and even take in the ship’s popular Ghosts & Legends tour while you’re there. Or, maybe the world-renowned Madonna Inn located in the heart of San Luis Obispo is more to your liking? Each of its 109 rooms is uniquely decorated with special themes and color palates – no two are alike! Photo of Hotel California by kevindooley via flickr (Creative Commons).